It’s a tasty pre-dinner drink. I made this for the adults in my family for Thanksgiving. 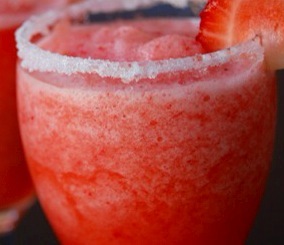 Very light and refreshing! 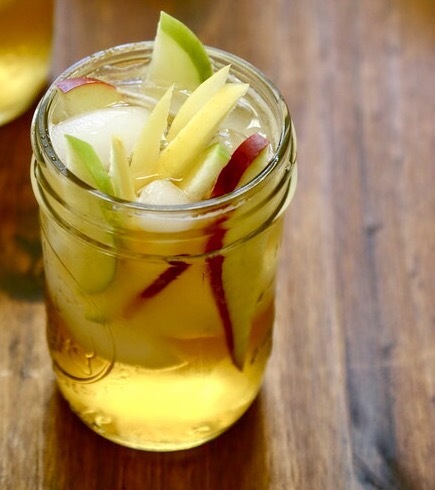 Simply add the apple to bottom of your pitcher and fill with both the wine and ginger ale. Into the refrigerator and serve cold. Prep Day: In a medium saucepan, combine frozen fruit, sugar, water, orange liqueur/juice and lime juice. Cook until sugar is dissolved and fruit is thawed and softened. Approximately 5 minutes. Pour the fruit mixture into a blender and pulse until smooth or desired consistency. Pour into a pitcher and add the rum. Stir until well blended. 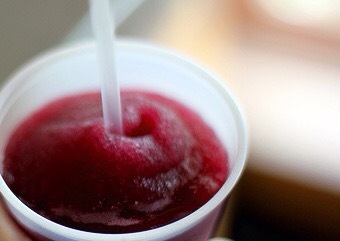 Pour into a freezer container and freeze overnight. Serve Day: Remove from freezer 15 minutes before ready to serve. Prep: In a medium bowl, combine wine, ginger tea, apple juice and granulated sugar. Pour mixture into a shallow metal or glass dish and freeze for 1 hour. Stir mixture with a whisk, making sure to scrape sides of dish. Freeze an additional 30 minutes, then whisk again. Continue freezing for half-hour intervals, scraping with a fork until large fluffy ice crystals are formed, about 2 to 3 hours. Serve: Scoop into cups or dessert dishes, garnish with mint and serve.